In August, Girlguiding Shropshire were invited to arrange for some girls to meet with a group of Japanese students partaking in an English language course at Severnvale Academy over the summer. 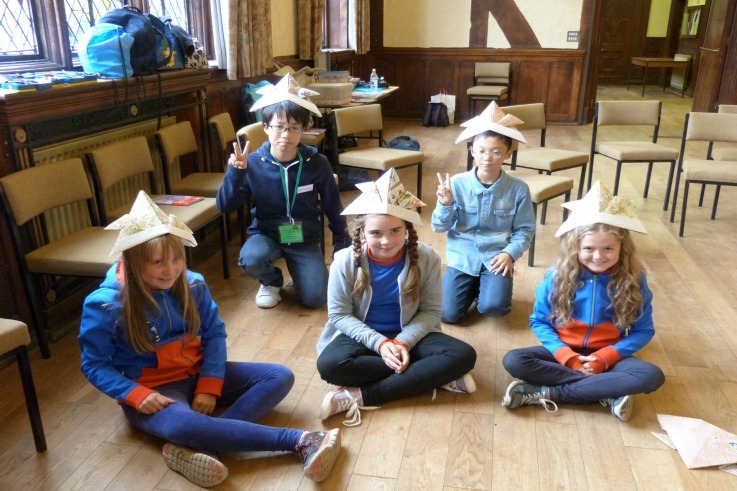 Ten girls from Guide units across Shropshire were chosen to meet with the Japanese students and share lots of activities, songs and games from their cultures. The girls were invited to share their experience of living in Shropshire, what Girlguiding is about and what they like about it. The girls were able to set up a pen-friend scheme so that they could keep in contact with their new friends once they’d returned to Japan.